Chateau Mont-Redon has been in the Abeille and Fabre families for four generations, with its vineyard omnipresent for centuries. The first vines found at Mont-Redon date back to Roman times, 2,000 years ago. They were planted at the bottom of the hill that gave its name to the Mont-Redon property. In 1344, "Mourredon", part of the Pope's land holdings, was officially recognized as a vineyard. In the middle of the 18th Century, the nobleman Joseph Ignace d'Astier, a lawyer with a doctorate in Law from Avignon, acquired Mont-Redon. The Mathieu family, descendants of the Astiers, then took ownership. Anselme Mathieu, who called himself the "Marquis of Mont-Redon", ran the domaine until his mother, Claire Mathieu, died, causing the inheritance to be split up amongst her children. At the same time, in 1866, phylloxera ravaged the Châteauneuf-du-Pape vineyards. In 1923, Henri Plantin purchased Mont-Redon. He worked on grouping together as many parcels as possible, and had the foresight to plant on the wide open plateau, with its rocky soil and forest patches, never before cultivated, that looks over the Château. Today, Henri Plantin's descendants, the Abeille and Fabre families, continue to search out the best pieces of land with which to ensure the domaine's growth. 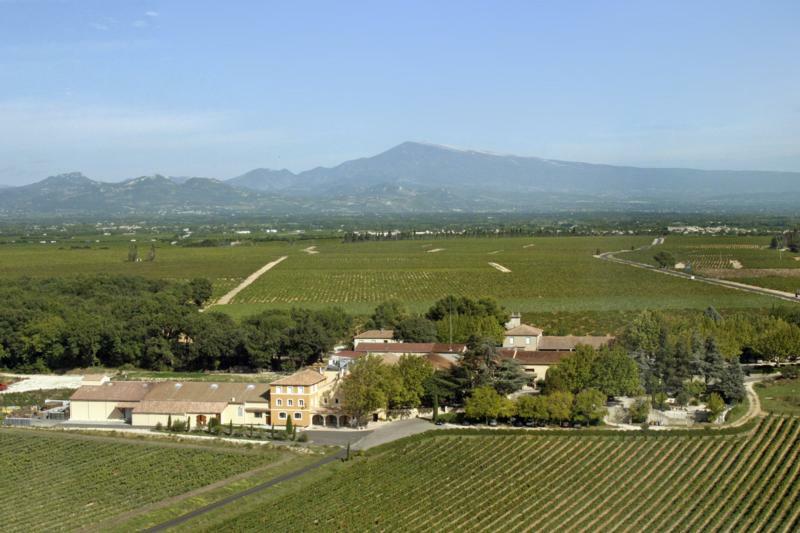 Château Mont-Redon owns 100 hectares of the most perfectly-sited vineyards in Châteauneuf-du-Pape. More than half of their vineyards are planted on "diluvium alpin" soil on the highest Mistral (dry southern wines) blown plateaus of the appellation at elevations above 500 feet. Chateauneuf-du-Pape is famous for it's "galet's" or round, heat absorbing pebbles that have been shaped and polished over thousands of years by the Rhone River and spread over time along the appellations highest plains. In some portions of the vineyard this layer can exceed 2 meters in depth forcing the vines roots deep in search of the layer of red clay that lies beneath. Grenache, Syrah and Mourvèdre grown in these conditions produce wines that are generous, powerful, tannic and concentrated. The remaining vineyards sit in two distinct soils, the first being primarily sand that was created when the Rhone River shifted course bringing with it the smallest parts of the soil, which broke into smaller pieces still (sand). These soils increases the aromatic character of Syrah, Cinsault and Mourvèdre. Urgonian Limestone soils make up the remaining vineyards. Soils here are shallower and give excellent results with the white varieties, rich with aromas of white and citrus fruits. Wine Spectator 89WS TOP 100 2017“11 All-Star Côtes du Rhône Wines. Ripe and racy, with a delicious beam of red currant and raspberry pte de fruit laced with light anise and singed apple wood notes. A light mineral edge adds length and cut. Drink now through 2019.” ~J.M.